One rising trend in home decor is the farmhouse style sign. Typically you see them as white with black writing in big bold letters framed in a stained wooden frame. Some will say “Farmhouse” or “Eggs” or anything typical in a farmhouse. Lately quotes have come to replace these as well as other simple words like “Thankful” for the holidays or whatever it might suit. To me, I have always loved the saying, “The World is Your Oyster.” I have always encouraged younger people to open their minds and explore what life has to offer whether it’s a career or love or a place to live. When I was younger I knew that I wanted to venture out and live somewhere other than where I was raised (Knoxville, TN). I was supposed to move to Philly in 2002 for the love of my life, but that didn’t happen. I eventually wound up moving 10 years later to Sarasota, Florida and am absolutely in love. I don’t think I will ever leave here. I feel like I have come alive again as this city has so much to offer. So the saying is fitting for me. Chase your dreams. Expand your thinking and never limit yourself. First, decide what size you want your sign to be. I wanted mine to be roughly 12″ x 24″ to perfectly fill in the space I wanted in my bathroom. Since the trim pieces come in 24″ lengths, I decided to make my sign a little smaller to avoid having to buy extra pieces and having leftovers. My sign wound up being 14″ x 22″. Create the quote in a font style that you prefer on your computer. Print it off in a large size to your liking. I had to do this twice and the second time it took two sheets. 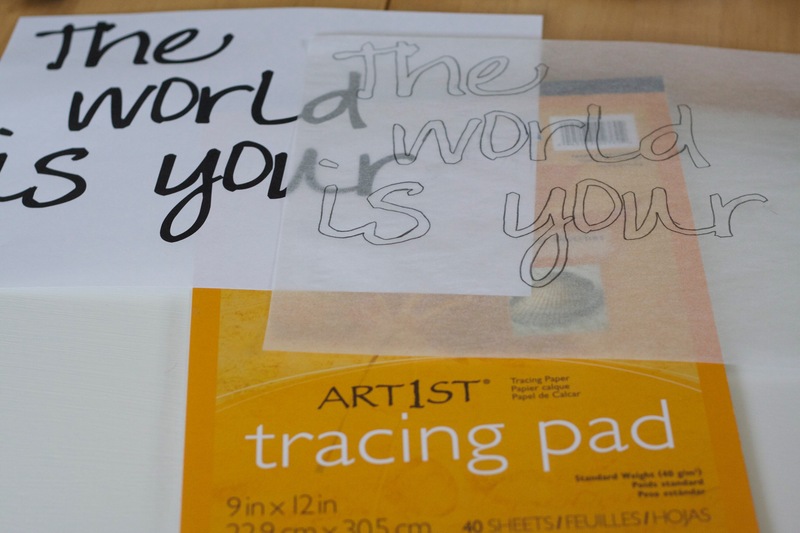 Then use your tracing paper to trace over the letters. Once you do that, you have to flip it over and trace them on your tracing paper so that you have lead to transfer with. 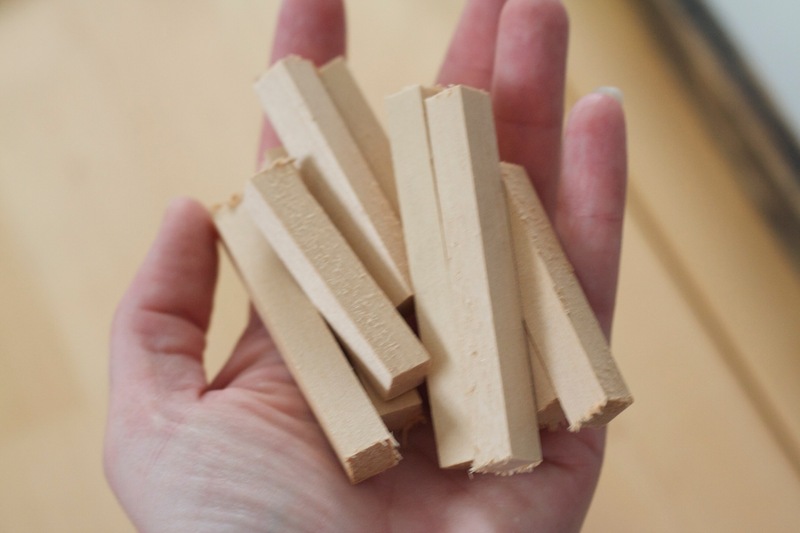 Cut all your wood pieces using a jigsaw or handsaw. I cut the underlayment to 14″ x 21″ so that it will fit inside my framed trim pieces. I cut the two long trim pieces at 22″ and the two shorter ones to “14”. Once they are cut, lightly sand the edges to take away the roughness. Then paint. At first, I painted the time pieces solid black, then I decided that I wanted the aged look. So I sanded away a lot of the paint and lightly stained it with Jacobean stain. 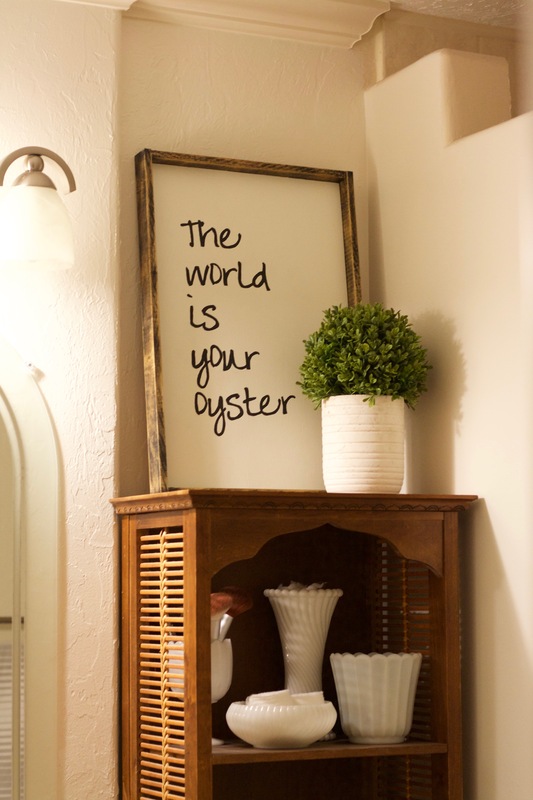 Once your paint has dried, transfer your quote onto the underlayment then paint it with your black acrylic paint. While that is drying, you can start drilling holes for your wood pegs. 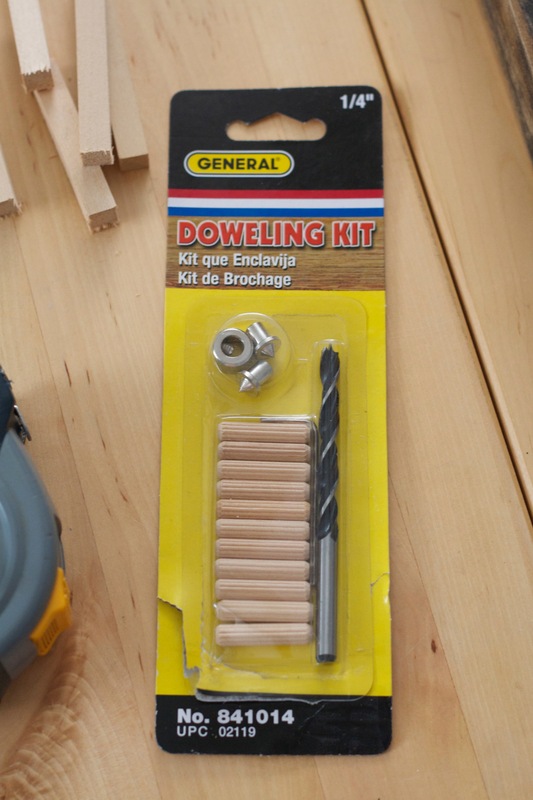 I purchased this kit at Home Depot. 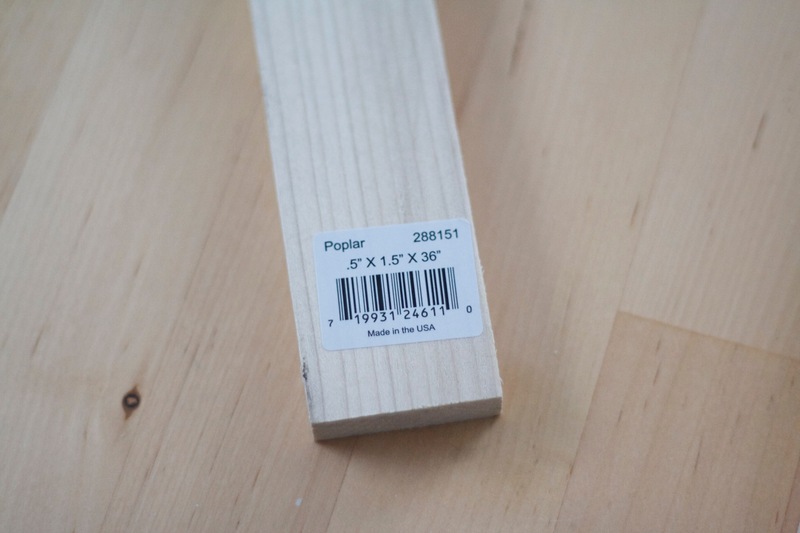 Lay your peg onto the frame to get an idea of how deep you will need to go. If you go too deep or too close to the edge, it will weaken it and likely mess it up. Drill holes for each corner. Before you attach your frame, you will need to make your support “brackets” for your underlayment. 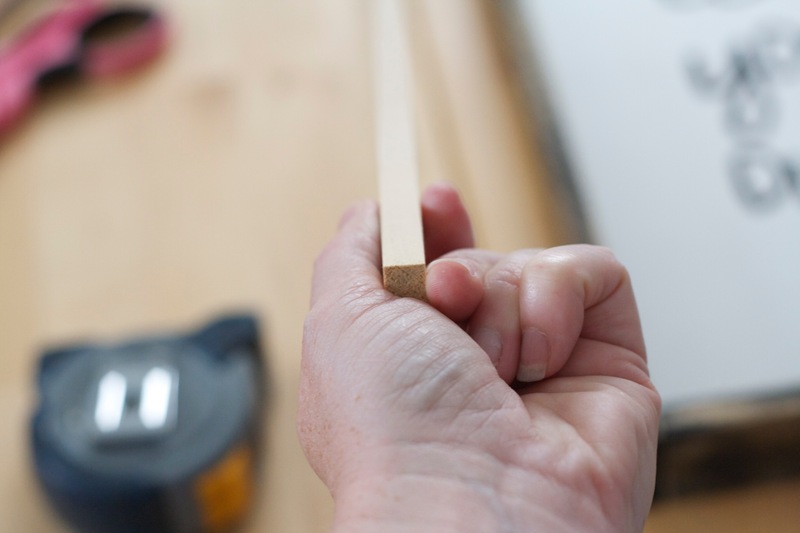 Take your square, wooden dowel and cut several pieces: enough to support the underlayment around the frame. Next, you need to adhere them to the frame pieces. 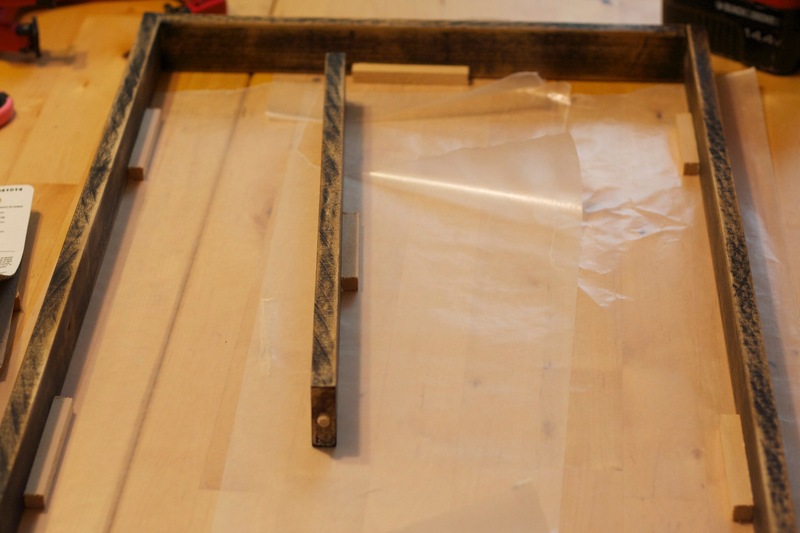 Lay wax paper under your frame pieces to keep the glue off your table and from adhering to anything. Simply attach them to your frame on the inside, laying against the surface. Add enough to support your underlayment. I did two on each side and one on the top and bottom. Allow the glue to dry for a few hours before moving ahead. 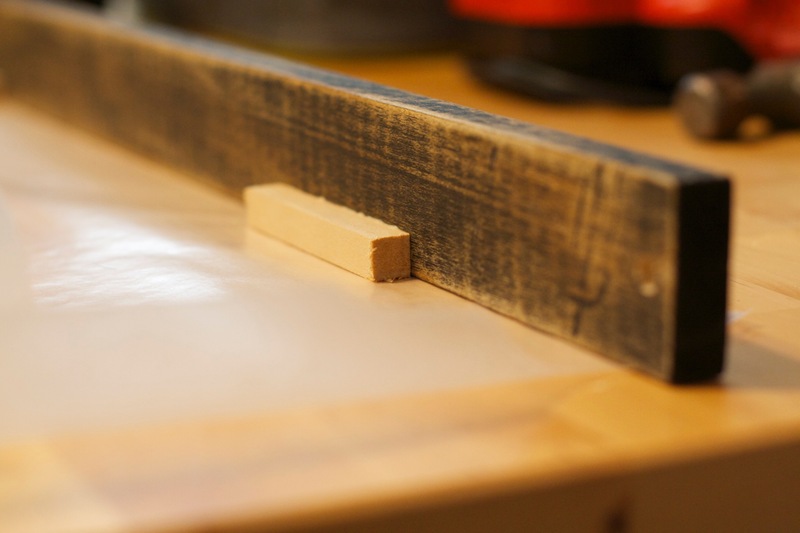 Once it’s dry, go ahead and start attaching your frame pieces. 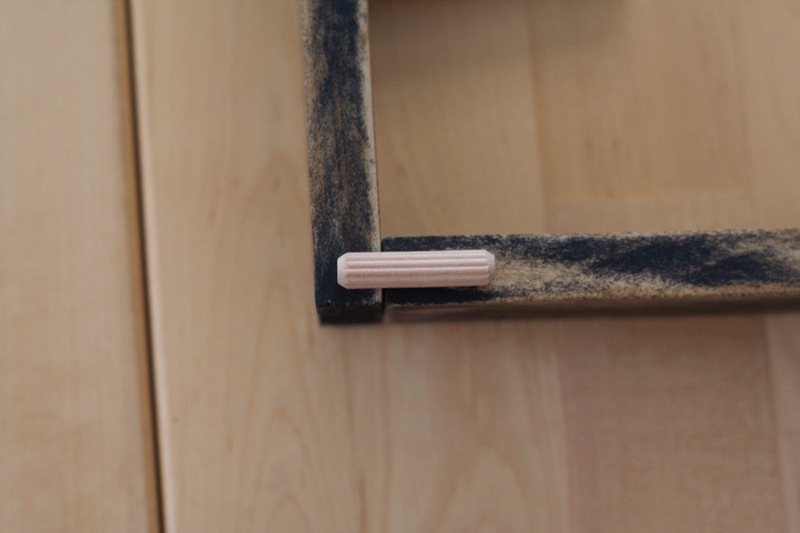 Tap your wooden dowel into the hole you drilled on your top piece for your frame. Add a dab of glue around it on the end of the frame. Attach it to a side piece. Then attach it to the other side piece. It should look like the photo above. Lay your underlayment in the frame to make sure it is going to fit. I had to sand down the bottom edge because it was just a hair too long. Once you’ve determined that it is going to fit, add glue to your brackets then lay the underlayment on. Add your final bottom piece to the frame then use your preferred sealant (I use finishing wax) and your done! *All items were purchased at Home Depot, except the paint and tracing paper, which were purchased at Walmart.